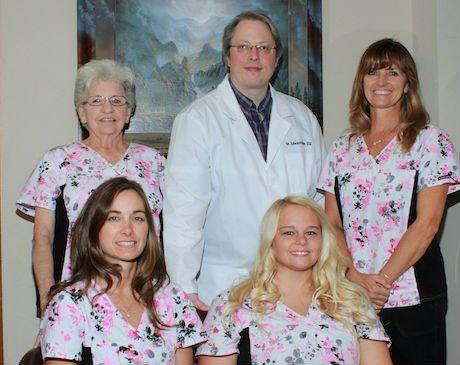 Click here to read what others are saying about Decatur Eye Center. Love the time and care that was spent finding the best solution for my eyes. Dr. Took a lot of time listening to me and found the perfect prescription for my eyes. Never thought I would say this but I love my Trifocals. The wait time was a little long, but the overall experience was great! I have been a patient of Dr. Fries at Decatur Eye Center as long as I have lived here. They are a very good office and a great staff. They are always organized and timely and have an easy and painless check in/out process. I feel very comfortable there. I have been a patient at Decatur Eye Center for 11 years and I couldn't be happier with their care and service. The staff is very knowledgeable and always there to help. They also have a great selection of frames as well. Very satisfied with the service provided by Decatur Eye Center. The check in - check out process was conducted in a timely manner. I purchase a pair of regular glasses and sunglasses from this center and was very pleased. I loved the selection to choose from. We have been to several eye doctors over the years, and Dr Fries and his staff are the most friendly and helpful I've ever had.